D. Kelley Young has been a trust and estates, business and tax lawyer for over twenty years, first in Burlington, Vermont and, since 1990, in Portland. His practice encompasses all aspects of estate planning and elder law, counseling his clients on their options for transferring wealth to younger generations and charitable organizations. Kelley has extensive experience with wills, living trusts, minors' trusts, irrevocable life insurance trusts, charitable remainder trusts, qualified personal residence trusts, grantor retained annuity trusts and family limited liability companies. In tax matters, Kelley regularly negotiates with the Internal Revenue Service and Maine Revenue Services on behalf of his clients undergoing estate tax audits, including audits of the estate tax impact of conservation easements. He has been successful counsel in a United States Tax Court case and advised international investors about the income tax aspects of doing business in Maine. Kelley advises Personal Representatives, Trustees and beneficiaries with regard to their obligations and rights in trusts and estates and will personally serve as Trustee or Personal Representative in appropriate circumstances. 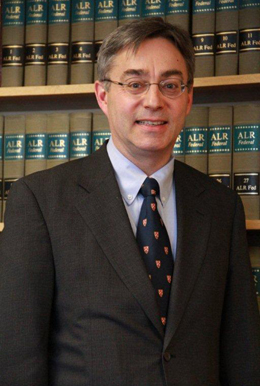 He is admitted to practice in all Maine Courts, the Federal District Court for the District of Maine, the United States Bankruptcy Court for the District of Maine and the United States Tax Court. Born and raised near Rutland, Vermont, Kelley returned to Northern New England following his graduation from Stanford University to become a Certified Public Accountant with the Portland office of what was then Peat, Marwick, Mitchell and Company. Immediately after graduating from law school, he spent three years with the International Tax Services Group of Price Waterhouse in New York. Kelley was appointed to serve as a member of the Maine Board of Tax Appeals in 2017. This is an independent board that provides Maine taxpayers with a system of resolving controversies with Maine Revenue Services. It does not hear federal controversies. Kelley is a member of the Maine Bar Association, American Bar Association, Cumberland County Bar Association, and the Maine Estate Planning Council. He has served on the board of The Children's Theatre of Maine and is active in other community groups and organizations. Kelley lives in Portland with his wife, Shari Brinkman-Young. His adult daughter teaches English in England.